Bushfire Risk Reducers , distributors of a range of innovative products with a valuable role in protecting assets from the threat of bushfire, introduce Barricade Fire Blocking Gels. 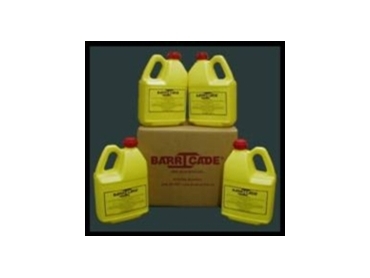 Barricade Fire Blocking Gels have been developed by firefighting professionals by combining water (fire's traditional adversary) with a bio-friendly product. The result of this combination is a gel that stops fire and gives firefighters the edge in occasions when critical water resources could be the deciding factor on the toll of a rampant fire. Firefighters who use Barricade Fire Blocking Gels have declared "...if it's not burning when we arrive, it's not going to burn...without barricade, you're just playing with fire !". Homeowners, who have saved their homes by applying Barricade with a garden hose enthusiastically praise it's effectiveness and ease of application.